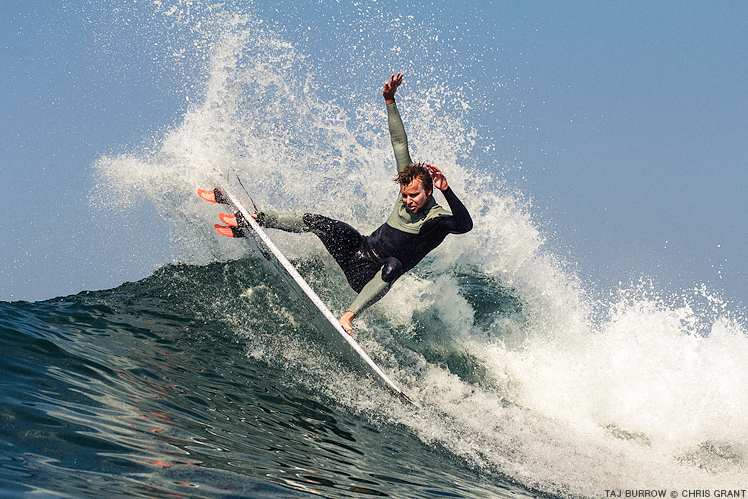 Ryan Engle and the Surfboard Building Process at Nation Mfg. Video by Nakisurf. NATION SURFBOARDS 2014 – Ryan Engle Interview（ライアン・イングル インタビュー 2014）by Max Houtzager from nakisurf on Vimeo. Ryan Engle, the man behind the Nation Mfg surfboard label, takes you through his surfboard design and building process. When the shape is complete, it moves to the hands of master laminator, Dave Naylor, and the rest of the glassing team. Getting a new board rules! Film by Max Houtzager. While I was trapped and struggling to swim in seaweed, Chris Ward chose the much wiser up and over approach. 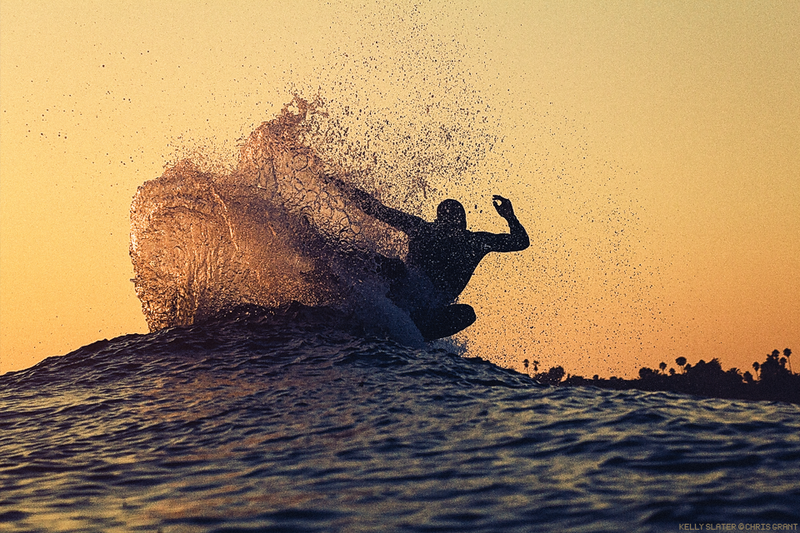 Fin throw at home in San Clemente, California. 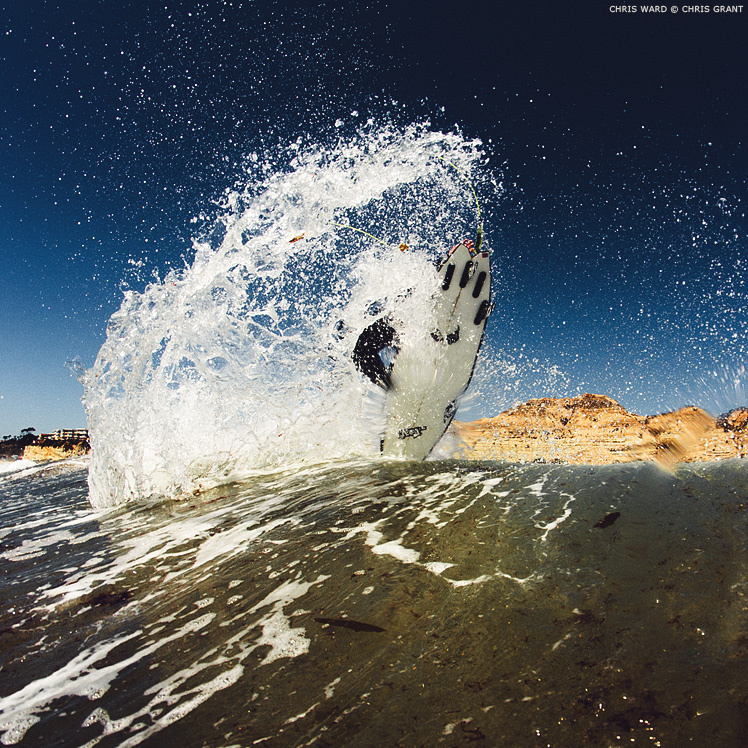 John Daniels, South Jetty fin throw. John was too close for my camera lens but luckily I had a GoPro handy. Stuck it in the air with my shaky left arm and hoped for the best. Sick one JD!! One of my best friends is a huge Taj Burrow fan. I was so amped when Taj whipped this turn right in my face a few days before he won the Hurley Pro at Lowers last summer. Sometimes you luck out as you’re packing away your water housing. Small lens. Big air. 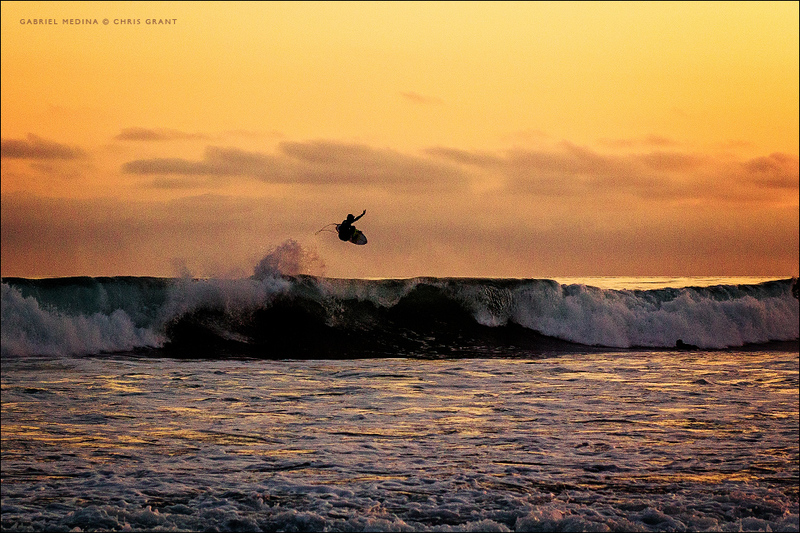 Gabriel Medina at sunset. 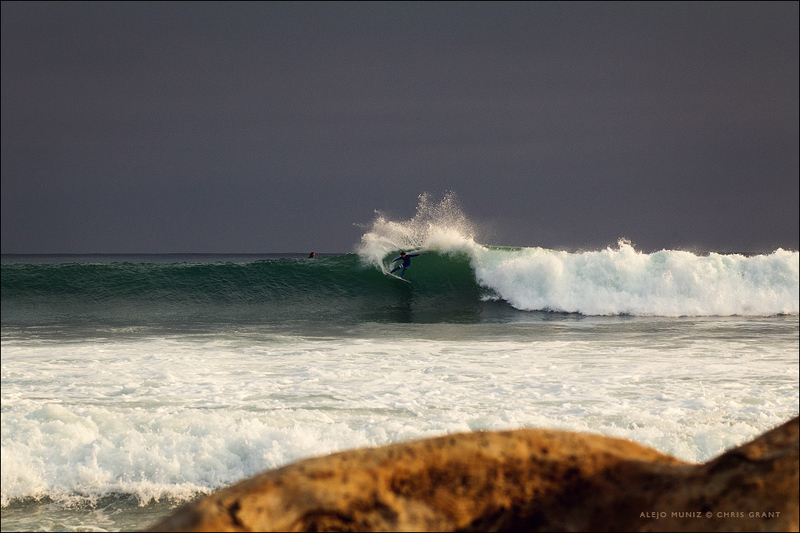 John Daniels scores a dredging barrel on one of the rare rainy days around these parts. Almonds. Three empty waves on a perfect, dead-glassy Southern California afternoon. In the summer of 2013, Brazil’s Alejo Muniz spent an afternoon surfing under an extremely dark cloud cover. For exactly one wave the sun poked through the clouds and illuminated five solid turns down the line, then it disappeared again. It seemed like a message from above. A few days later, Alejo won the US Open in Huntington Beach.